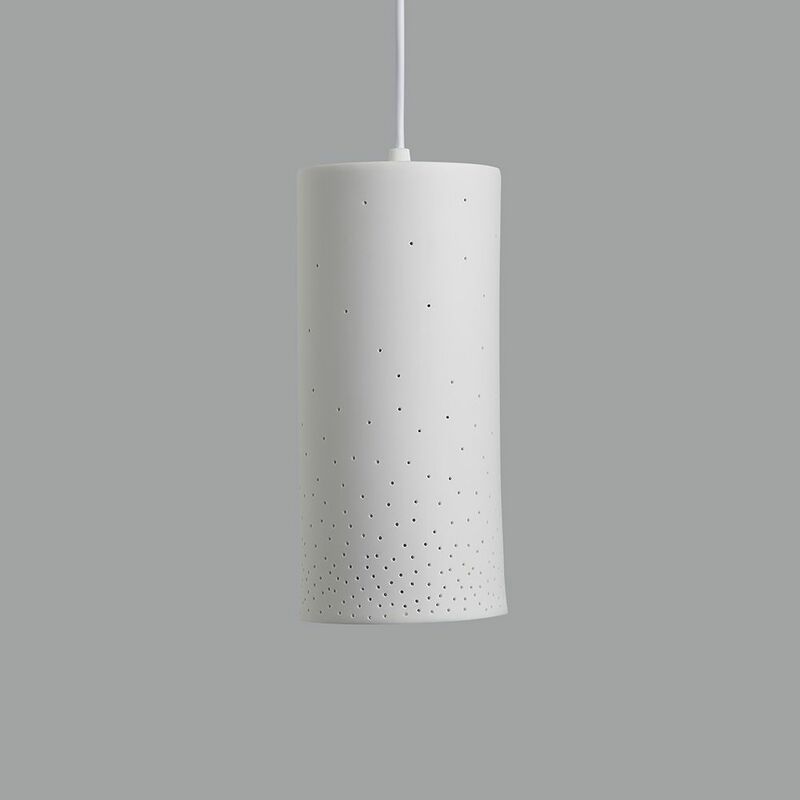 This white ceramic pendant is dotted with small holes that cast small rays of light around the room. 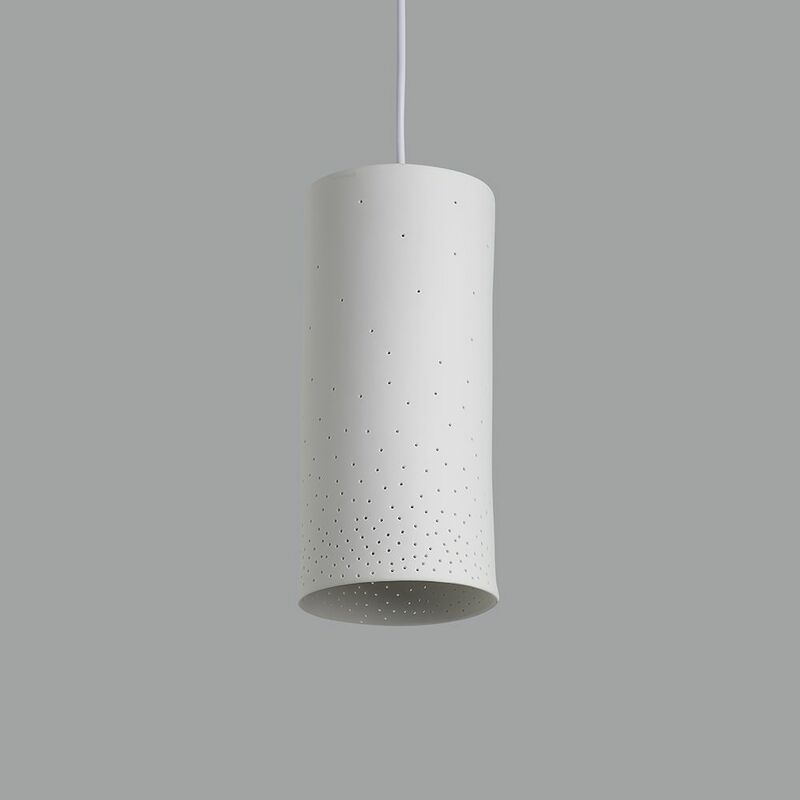 It looks great lit or unlit and has the same white ceramic finish both inside and out. 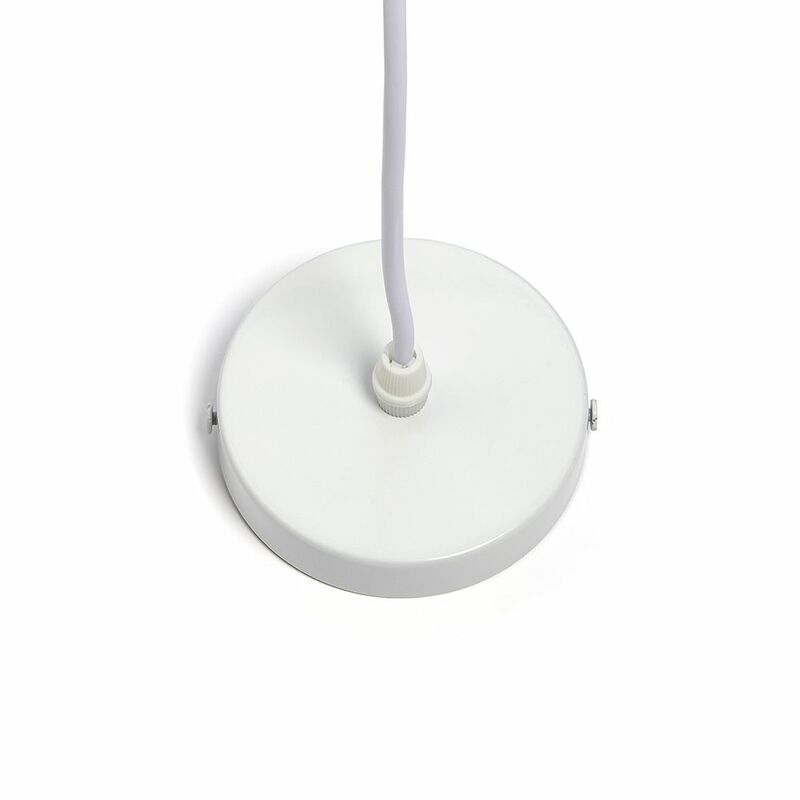 It comes with approximately 3ft of flex which can be shortened to any length and a matching metal ceiling rose, as shown. Takes a standard E27 bulb and is dimmable. Approx: 25cm high x 11cm dia.